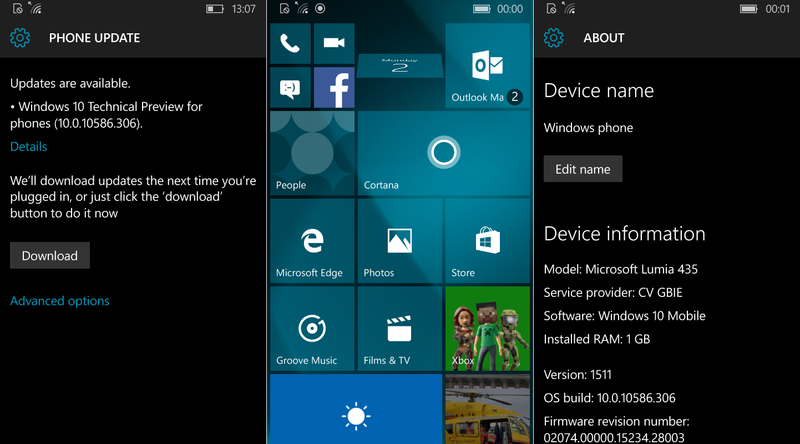 Windows 10 Mobile Build 10586.306 is now being tested by Microsoft internally for a few days now. Microsoft could release mobile build 10586.306 to Windows Insiders anytime soon, probably within some hours or a few more days. Today more screenshots of Windows 10 Mobile Build 10586.306 has been leaked online. However, new screenshots did reveal any major changes. It seems like Mobile Build 10586.306 is likely to include bug fixes and performance improvements. As stated in my previous article, cumulative update with build 10586.306 will not include any new features. We hope to see Windows 10 Build 10586.306 for both Mobile and PC very soon. Till then, do let us know your thoughts about new mobile build 10586.306 in the comments below. Any 10586 updates are purely bug fixes. Any changes will come with RS1.